It’s Fantasy Fest at Key West, and food critic Hayley Snow is ready to celebrate. But a killer seems intent on crashing the party in this mystery from the national bestselling author of Death with All the Trimmings. Every year, Key West’s week long Mardi Gras–style festival has tourists and locals alike lining up for costumed revelry and delicious eats. Key Zest magazine has assigned Hayley to write a piece on the fest’s grab-and-go food, so she’s planning on hitting up the mobile eateries while checking out the party preparations. 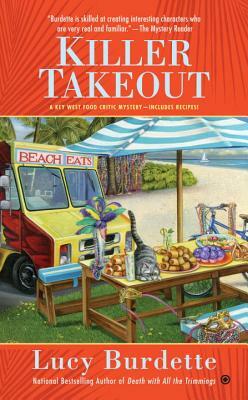 Clinical psychologist Roberta Isleib, aka Lucy Burdette, is the author of the Key West Food Critic Mysteries. Her books and stories have been short-listed for Agatha, Anthony, and Macavity awards.